I can't even say there is a "hint" of flavor. So far I have tried Strawberry Kiwi and Pineapple. They don't taste like anything. Buying this water is a total waste of money. It was delivered by FedEx and left on the first floor by the mailboxes, not to my 3rd-floor apartment. These boxes are heavy, and being a senior, made it very difficult to pick up. I have had FedEx deliveries before where they actually came to my door. What does FedEx leaving it downstairs, instead of delivering it to your door have to do with the water? I ordered three cases of Hint Water; one Sparkling Grapefruit, one Watermelon, and one Kick Lemon Cayenne. After tasting all of them, there is no taste in any of them. I don't even think there was a watermelon in the room when they were bottling that flavor. A total waste of money. I could buy three for $9 bottled water that tastes better than this stuff. Total ripoff. Stay away! Don't try, too expensive, save your money. It has a plastic aftertaste, pretty weird. Check the expiration date since plastic bottles leak chemicals after time. Take a bottled reverse osmosis or spring water and add a twist of lemon, lime, orange or add a little juice to it, and it tastes much better. The ingredients say "purified water." Purified water from where? Blood orange and other natural flavors are from non-GMO plants? What plants? Not from fruits? People, please read ingredients and fine print before you buy products. I didn't give them permission to charge me $32. They need to refund the money ASAP. Someone was supposed to get a hold of me within 24 hours, but I am still waiting. Hint Water, refund my money, and if you set me up on a membership, cancel it now. I will not purchase it ever again. It is advertised to help you get off soda. Anyone that drinks soda wants sweet flavor. 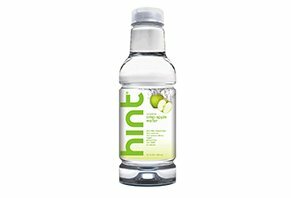 "Hint" is just overpriced water with barely any flavor. Very disappointed. Save your money. DON'T BUY.